The Man Who Killed Hitler and Then The Bigfoot isn't as crazy as you would think, but it is a very good character drama featuring Elliott at his best. 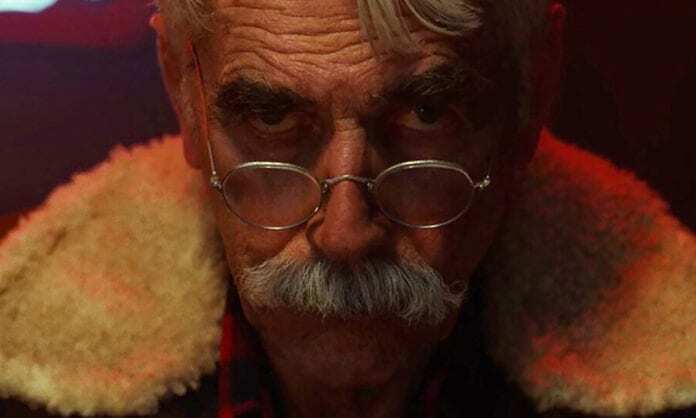 The Man Who Killed Hitler and Then the Bigfoot is a new film directed by Robert D. Krzykowski and starring Sam Elliott. The movie follows an American war hero who is recruited to stop a mythical creature from wiping out humanity. 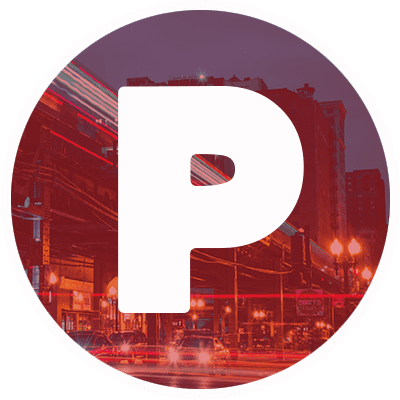 It debuted at the 2018 Fantasia International Film Festival. You will probably hear the title for this film and think that it’s a goofy B-movie and immediately want to see it. Although the title is awesome, and you should still want to see it immediately, thinking that it is a goofy B-movie would be doing the movie a tremendous disservice. In reality, the film is a character-driven drama, and one of the most effective ones to come out in a long time, at that. The only thing that was disappointing was that the title legitimately reveals the entire plot. The movie is told nonlinearly, cutting between two different storylines: one in which the protagonist is hunting Hitler, and one in which the protagonist is hunting Bigfoot. There’s not a lot of complexity to these storylines, and they go pretty much the way you would expect them to go (consult the title if you need help). 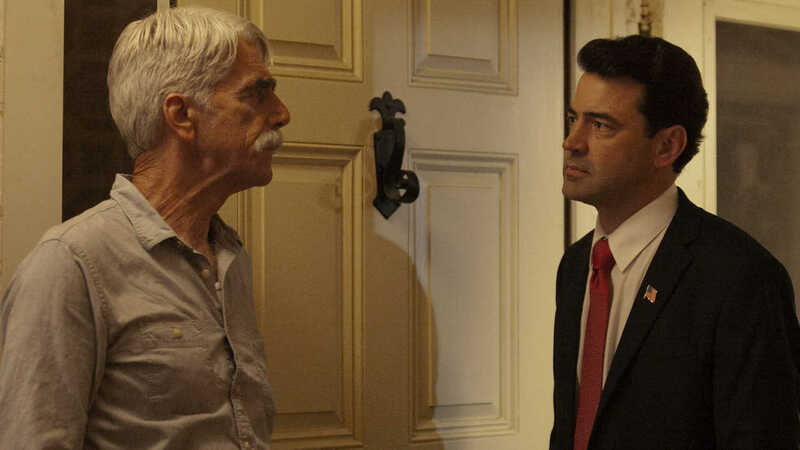 (L-R) Sam Elliott as Calvin Barr and Ron Livingston as Flag Pin in the action-thriller“THE MAN WHO KILLED HITLER AND THEN THE BIGFOOT,” an RLJE Films release. Photo courtesy of RLJE Films. That being said, the film’s complexity lies in the character development. The movie isn’t about the accomplishments of the protagonist, it’s about the way in which he reacts to them. Over the course of the film, the facade which he is putting up slowly disintegrates. Although the action sequences may feel a tad anticlimactic, that seems to be purposeful, as it benefits the characters’ story. Yet the movie also manages to not take itself too seriously. The film is in no way campy, but it acknowledges the absurdity of the storyline and the suspension of disbelief it requires of the audience. One of the best moments in the movie comes when the protagonist is being given his task to hunt the Bigfoot and the characters begin to deconstruct the ways in which the situation was super convenient to achieve their goals. 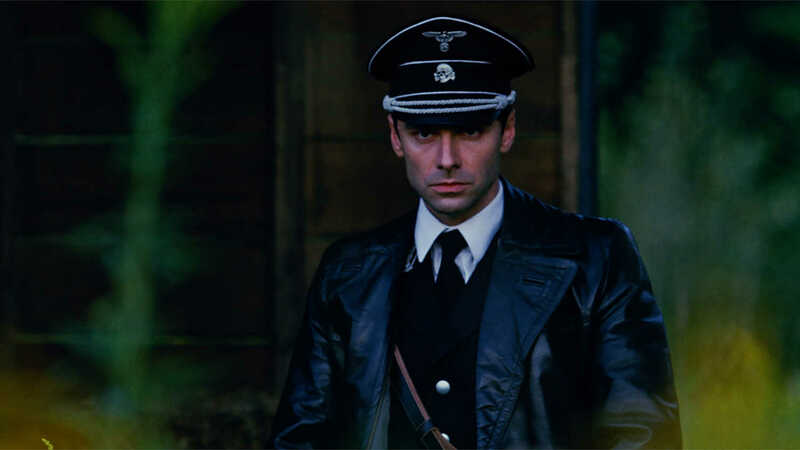 Aidan Turner as Calvin Barr in the action-thriller“THE MAN WHO KILLED HITLER AND THEN THE BIGFOOT,” an RLJE Films release. Photo courtesy of RLJE Films. In terms of execution, this is a fine film. The level of cinematic quality that this movie has is not what you would normally associate with an independent film of this caliber. The cinematography, score, and production design are all great, especially during those scenes set in the past as our protagonist infiltrates the Third Reich. The effects for the Bigfoot also look great for the short amount of time they are seen. However, the most impressive part of this movie is its acting. Sam Elliott delivers one of the best performances of his career in the eponymous role. He brings his signature swagger to the role, adding a lot of depth to the character. The younger version of the character is played by Aidan Turner, who also does a fine job but pales in comparison to Elliott’s work. This is, by all means, the Sam Elliott show. Overall, The Man Who Killed Hitler and Then the Bigfoot isn’t what you would expect — it’s better. It’s a well-acted, complex character drama that uses its creative premise to provide a thoughtful exploration of a war hero’s mind. Check it out. The Man Who Killed Hitler and Then the Bigfoot is in theaters and on VOD beginning February 8.